Homemade Mochi is so easy to make in my simple recipe. 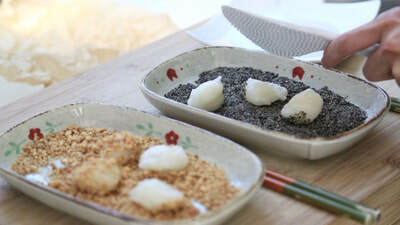 Unlike the Japanese style of traditional mochi filled with red beans, this Taiwanese mochi is rolled in two different flavors: Honey Roasted Peanuts and Black Sesame. I think freshly made homemade mochi tastes different than the store bought mochi. There's just something so special about mochi that is soft, chewy, and slightly warm...not to mention the satisfaction you get from making your own.  Because there's no preservatives in this recipe, I recommend you consume these the same day. Ready in Total Time: 40 min. Prep Time = 22 min. Cook Time = 18 min. 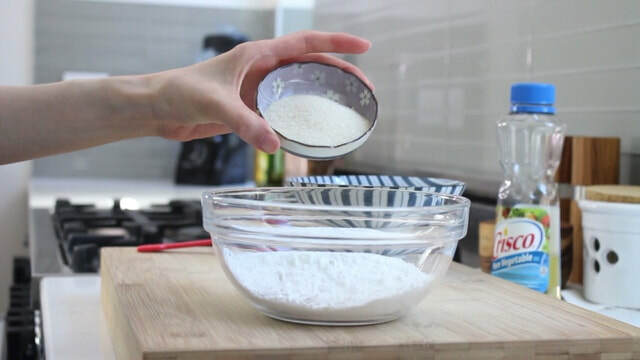 Sift together the dry ingredients before adding the wet ingredients. Mix well until smooth. 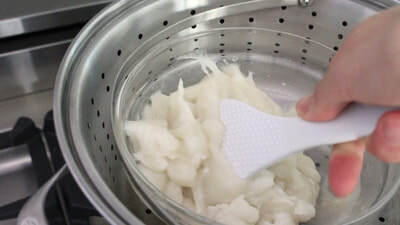 Bring a pot of water to a boil, or prepare a steamer and steam the bowl of mochi covered for 15 minutes. 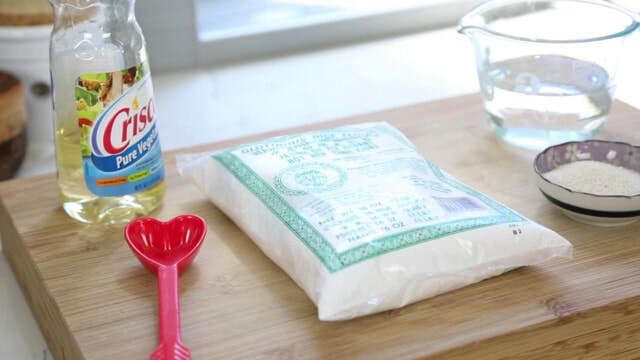 After 15 minutes, mix with a plastic rice paddle to prevent sticking, then re-cover and steam for another 5 minutes or until done.